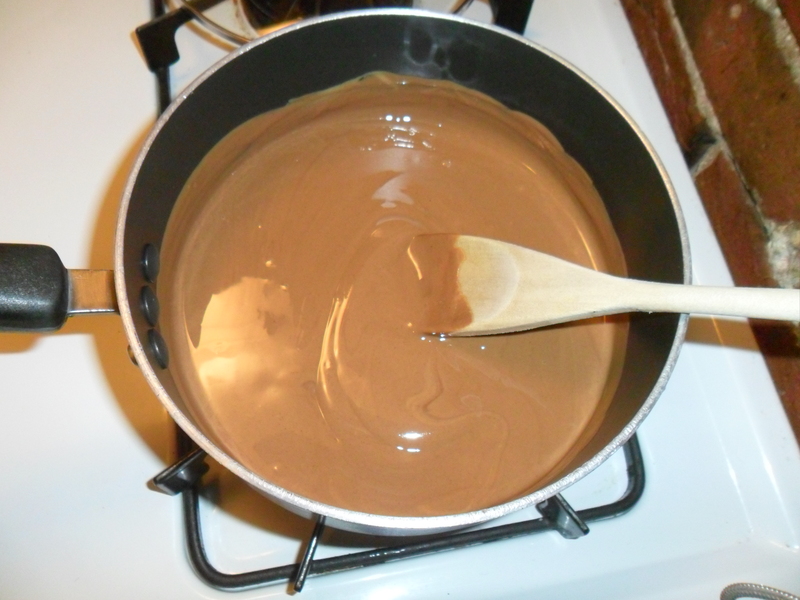 Here is an easy, delicious dessert that takes no time at all to make. 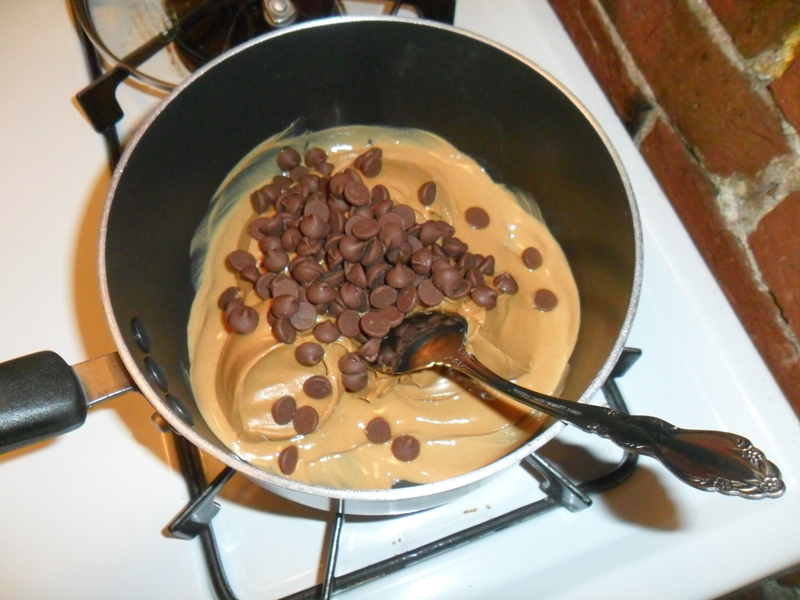 The night before your event: Melt 2 cups of peanut butter and a half of a bag of chocolate chips in a medium saucepan. 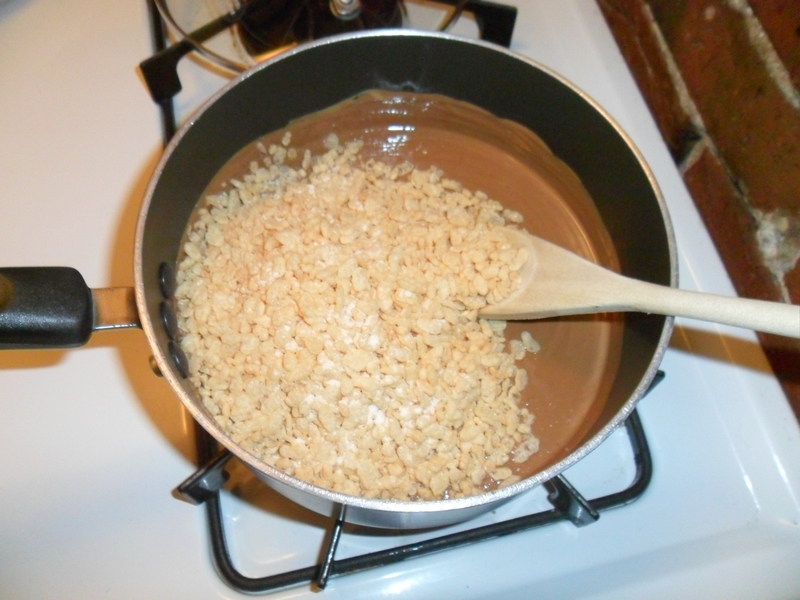 Once these are melted together into a liquid add Rice Krispies until it is a solid consistency. If you are using a generic brand rice cereal, add a few teaspoons of sugar as well. Put a cover on the saucepan and put the whole pan in the fridge over night. 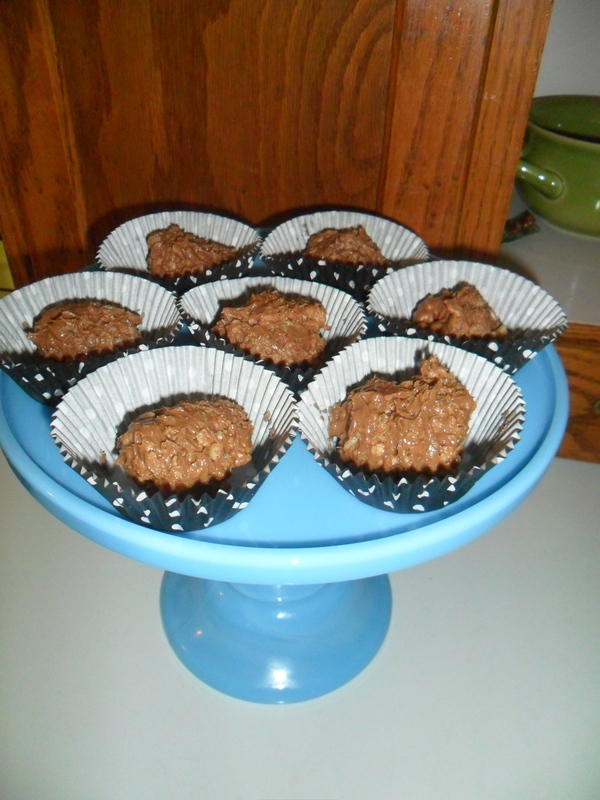 The next morning: Using cupcake liners and a muffin tin, spoon the cold mixture into the liners. Wrap tin in saran wrap and put int he freezer. Take out right before serving. Thank you to my friend KC for lending me her beautiful blue cake plate for our party last weekend.